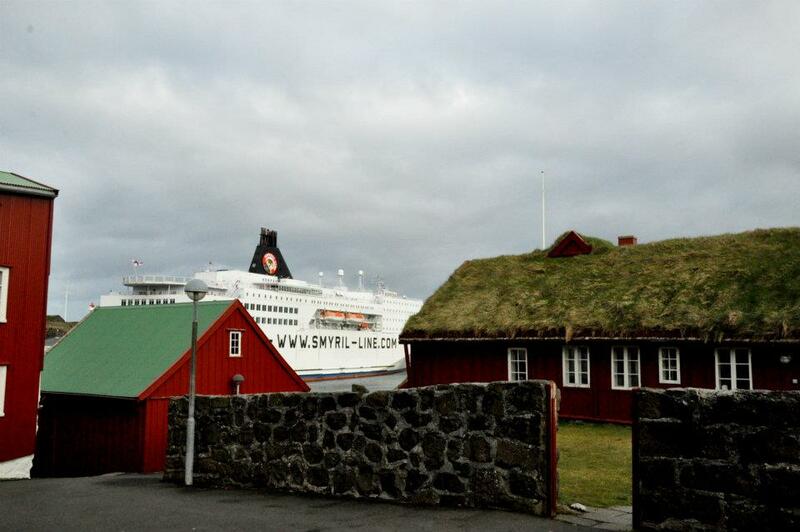 To Iceland with Smyril Line. 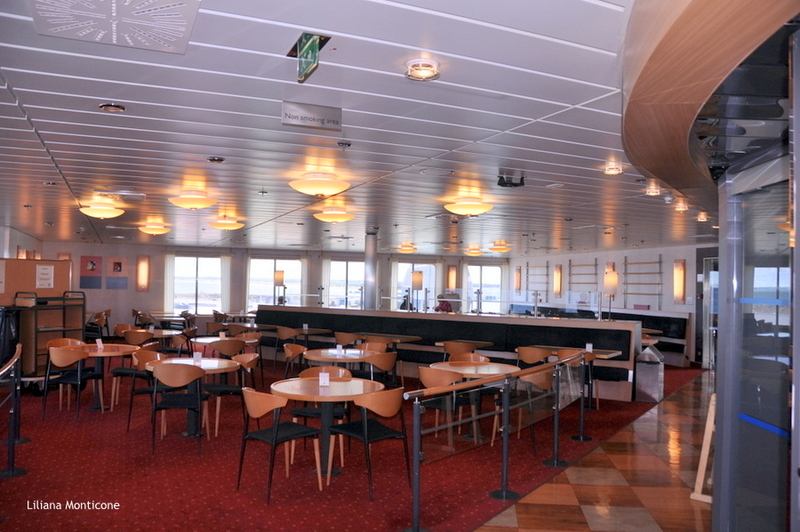 On board of Norrona. ← I met Santa Claus in Finland! 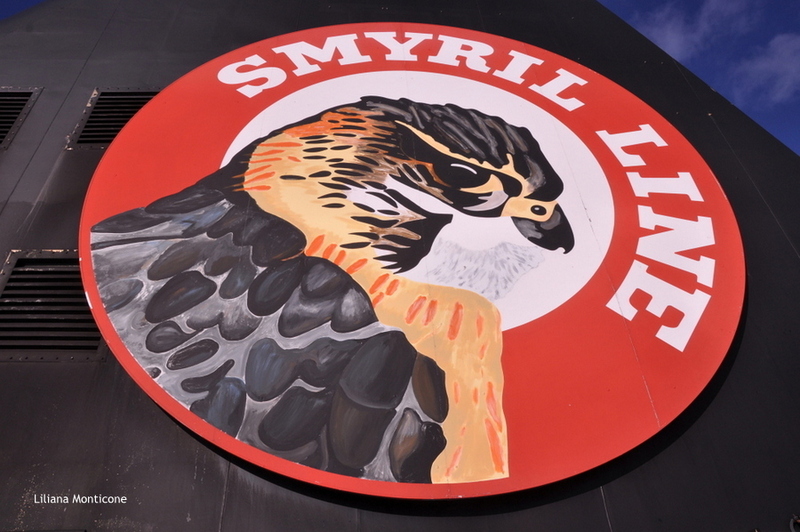 Update offers online March 2014 – Smyril Line cruise. 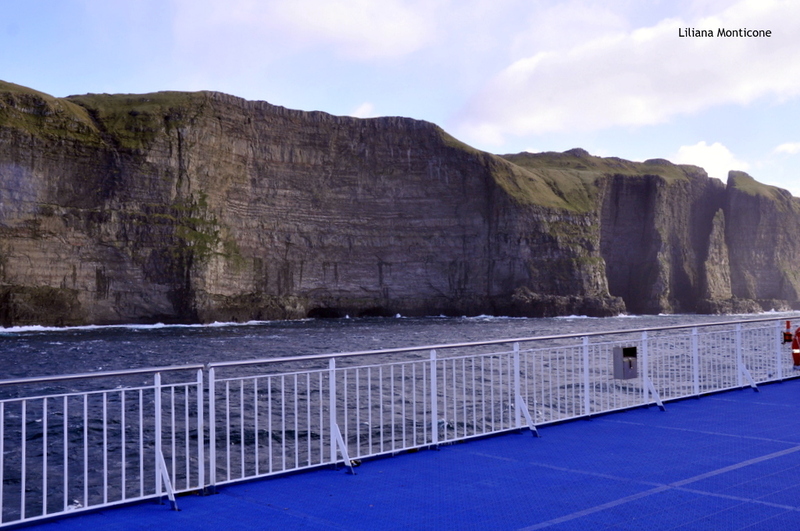 7-day cruise in March 2014 to reach the beautiful Faroe islands and then Iceland, with a car, in a double cabin with windows, including 7 breakfasts, welcome drink, afternoon buffet, dinner buffet on board the total amount of € 239 per person. Real cost all inclusive. Possibility of departures on various dates at similar prices. It’s impossible lost this great offer! 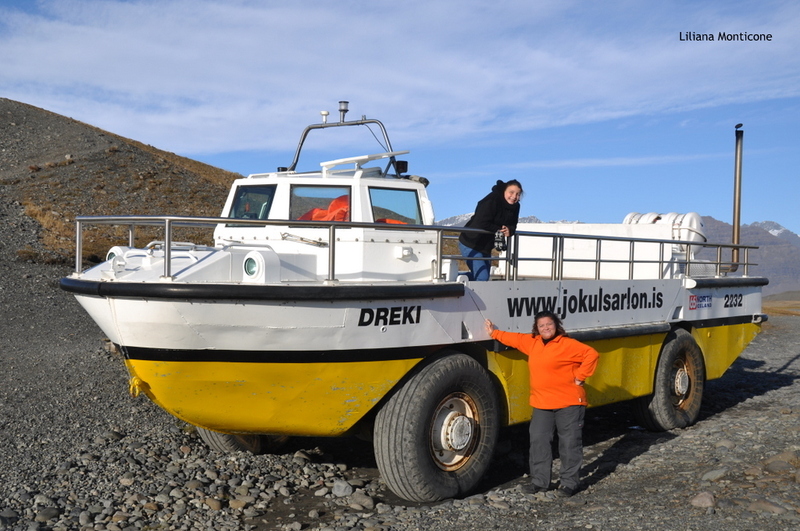 This is a real low cost, and anyone don’t find a cheaper way to get to Iceland! 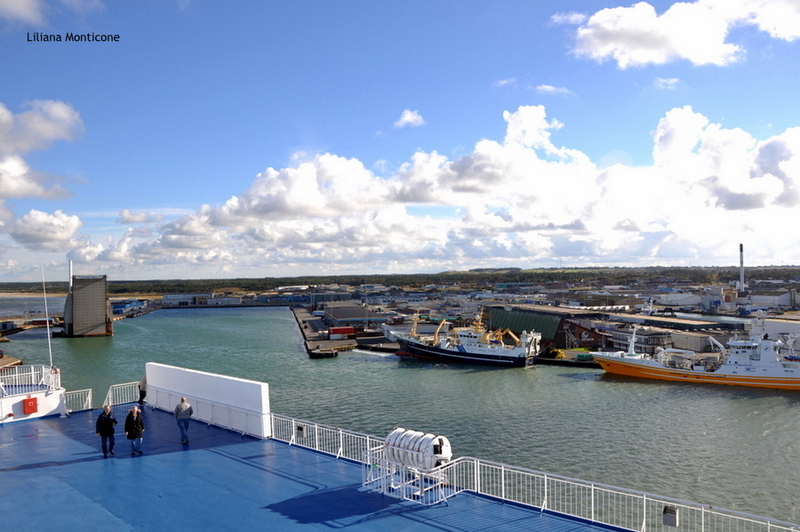 And so here we are on board of Norrona of Smyril Line, just left from Hirtshals in the north of Denmark. 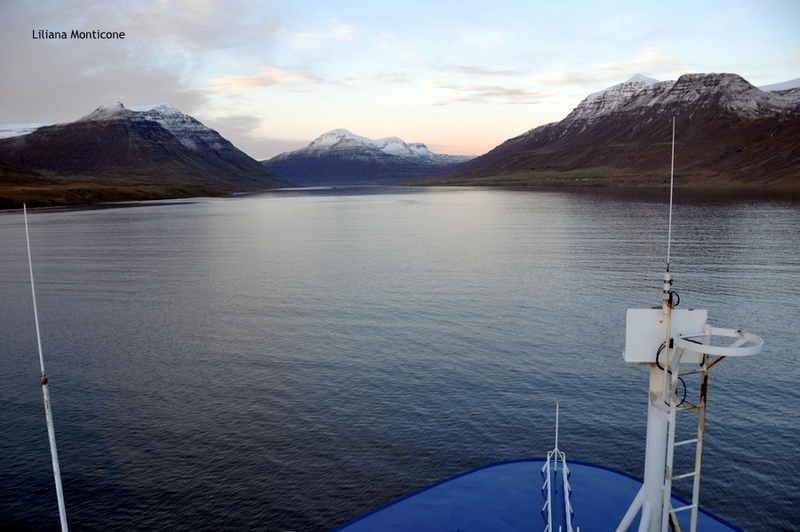 Every Saturday, in this period, the Norrona departure from this harbour to the north, the extreme north. 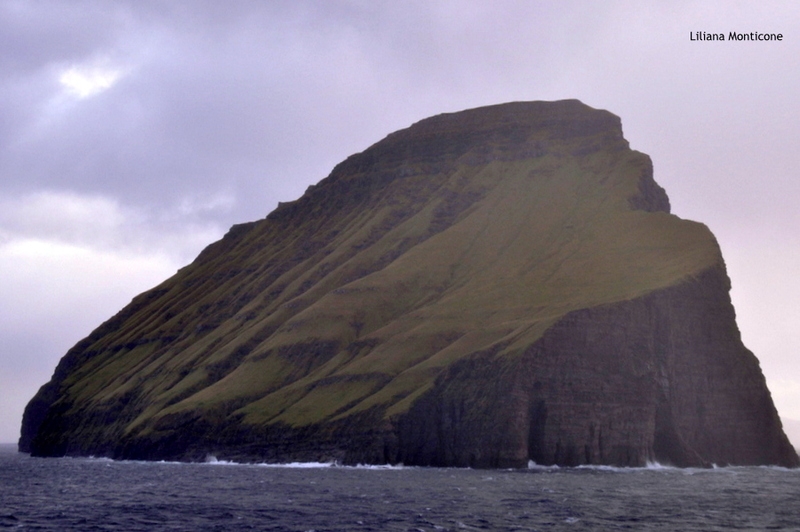 Our first destination is the Faroe Islands. Quickly our car is on board and go! To discover our cabin, no. 5009 to Deck 5. We travel in four and during the booking process, we pleasantly discovered that the already amazing offer is valid for two people, with the cabin for 4, the price down a little bit! 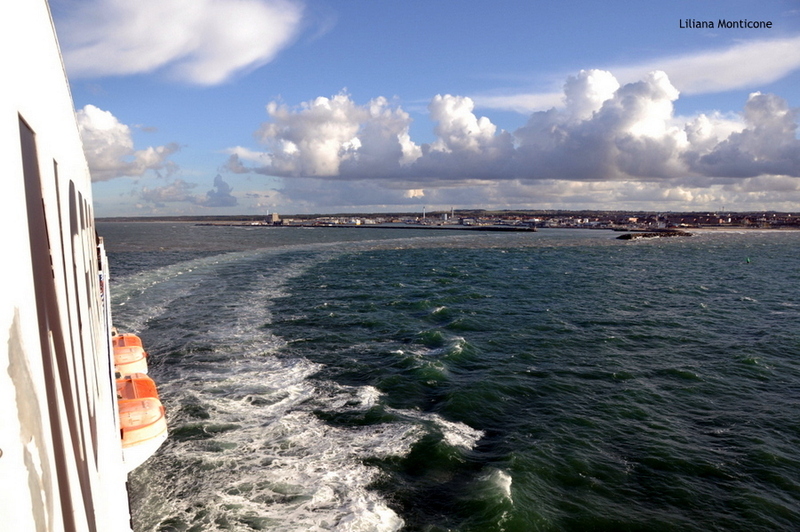 The departure have to be admired from the top deck, the Danish coast moves away and soon the wind gets annoying, so … we go around the ship to discover it. 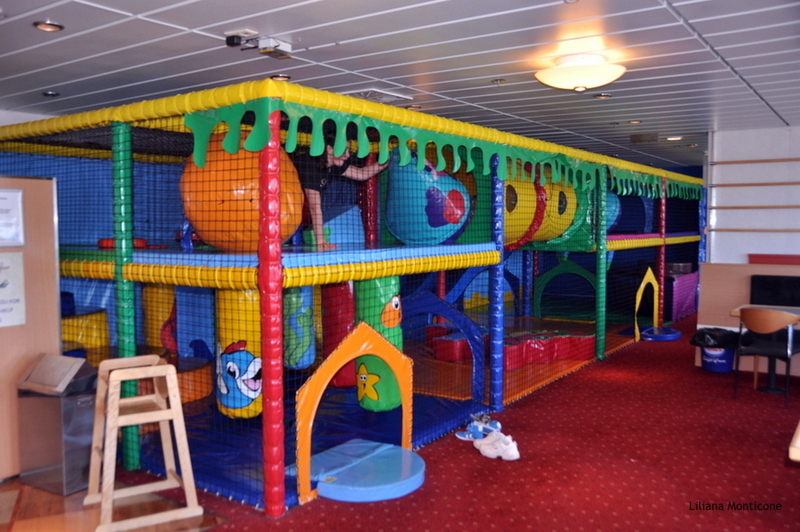 Valeria immediately love the playroom, and it doesn’t matter if on board there isn’t Italian people. She can play the same! Indeed, at the end of the week will also have learned a few words in Danish! 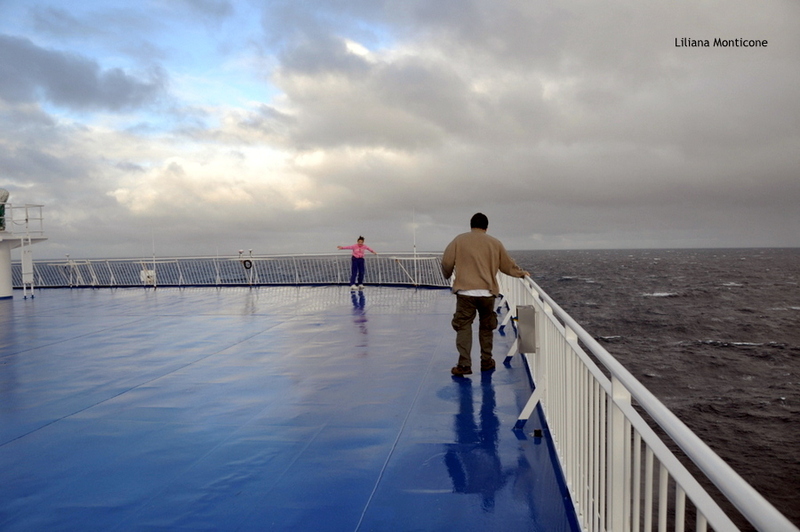 We see the swimmingpool which unfortunately is empty at this time and the gentle crew informed us that due to the bad weather at sea, we can’t use it. We started with a flat sea and a beautiful sun, it seems impossible that there is so much bad weather and … it just seems a bit dubious. 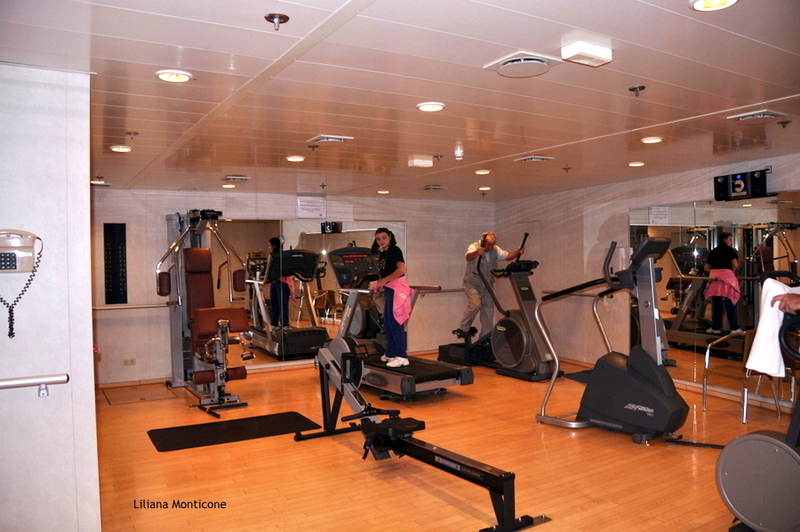 The kind lady inform us that we can use the sauna and the gym and in the open sea the weather is really bad. 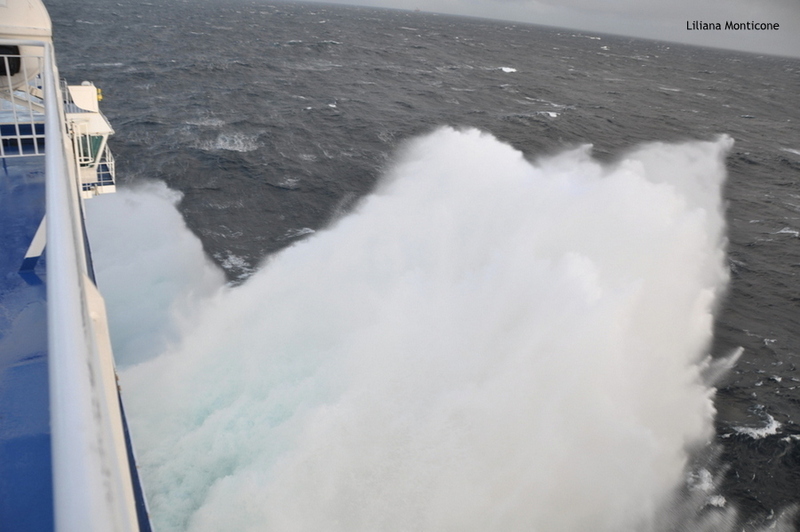 Do not tell you when, in full force 8 sea, while the waves slamming violently even against our window to deck 5, what my husband said in direction of that tranquilizer a “little bit”!!! 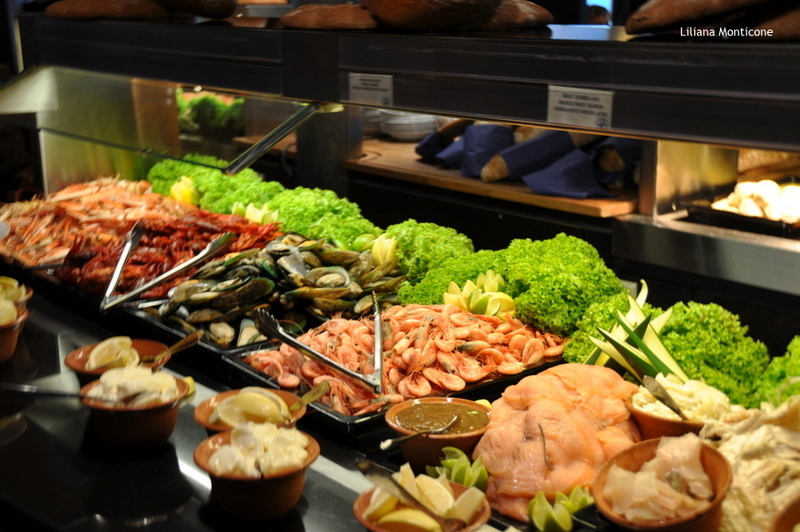 The first evening we have dinner at the buffet. 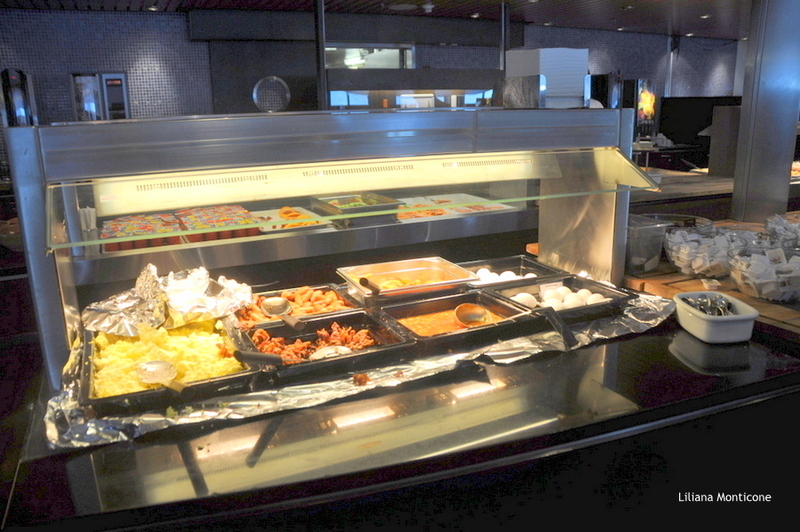 The photos speak for themselves, it’s a great buffet and we don’t eat nothing the next morning at breakfast, although the breakfasts were all included in this offer! A service note. If you would like to use in-flight meals, buy them at time of booking to save money. Purchased on board cost about 20% more. Still tired of the long car journey (1.750 are the km that separate Alexandria from Hitshals) we go to bed early and didn’t partecipate at the evening entertainment. 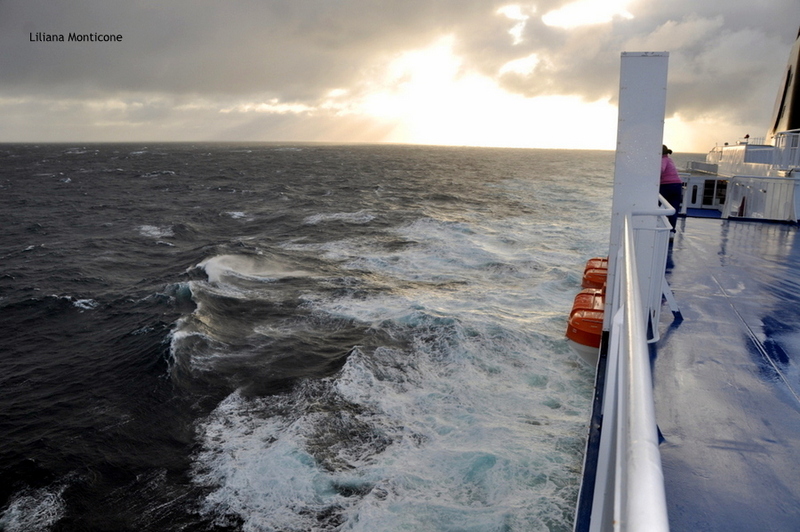 The sea gently cradle us and the next day things to do on board is so much. We don’t have time to bored! The shop is a duty-free and well stocked. 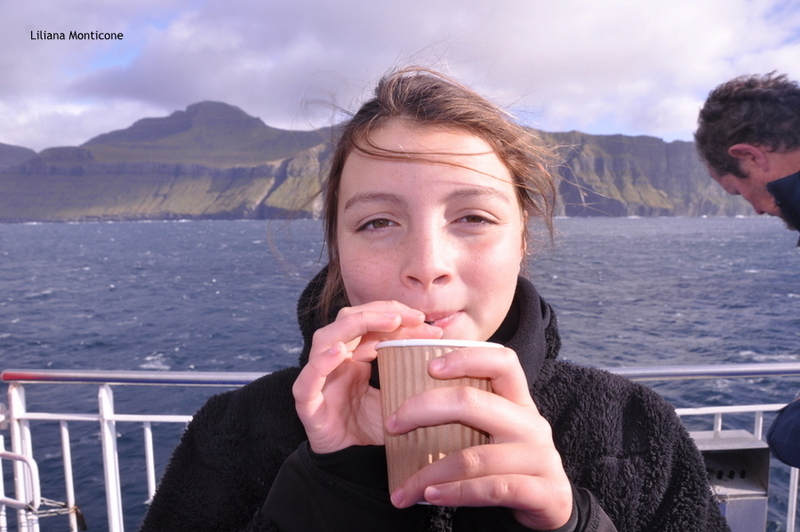 If you plan to buy the excellent and very special Beer of Faroe, you should do it on board. We visited the Beer’s shop at Torshvan and after doing some shopping … we have then doubled on board, on his way back, when we realized that the prices on board were lower! 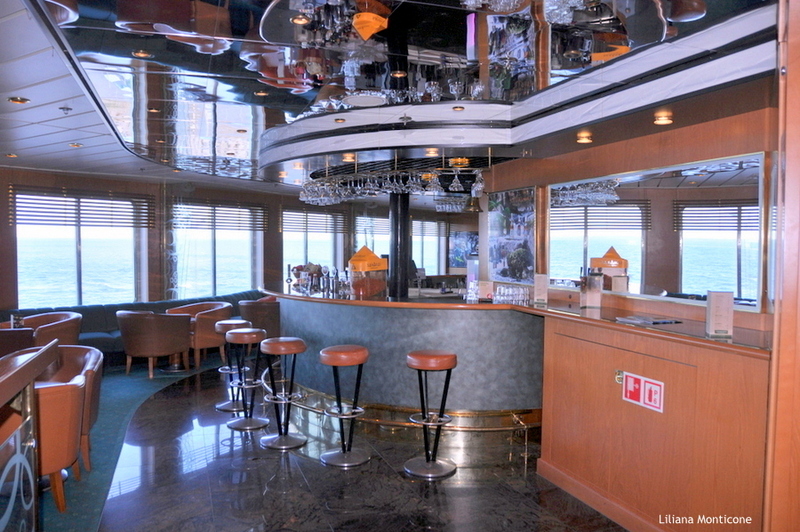 The common areas are many. You read, you use your computer, chat, drink a beer … It is also available a wi-fi satellite connection, but the costs are very high and the speed is not the best. However, it’s not very important: in sauna we don’t need wi-fi! 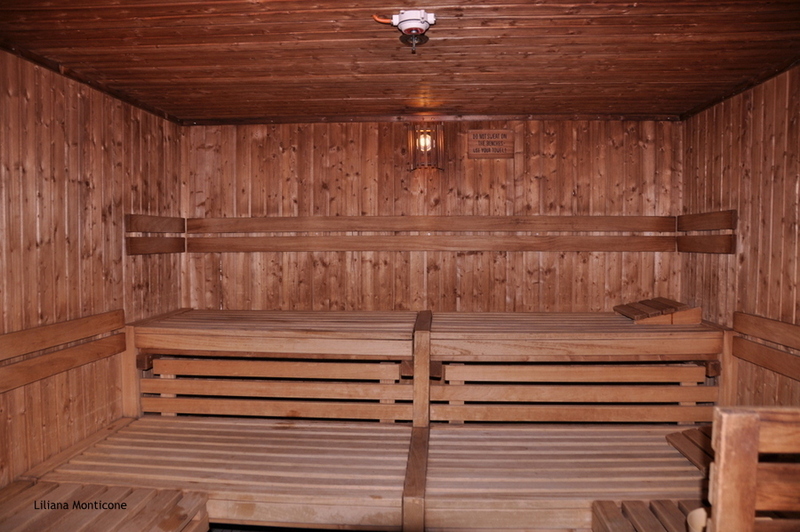 The Finnish sauna is all in wood, at the perfect temperature. What do you want more from life? 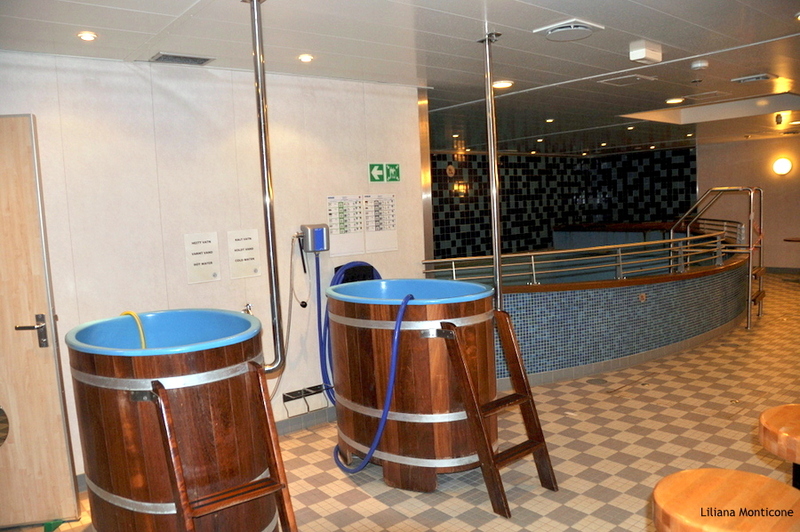 Here are two separate saunas for men and women and tubs with cold water are a real wellness! 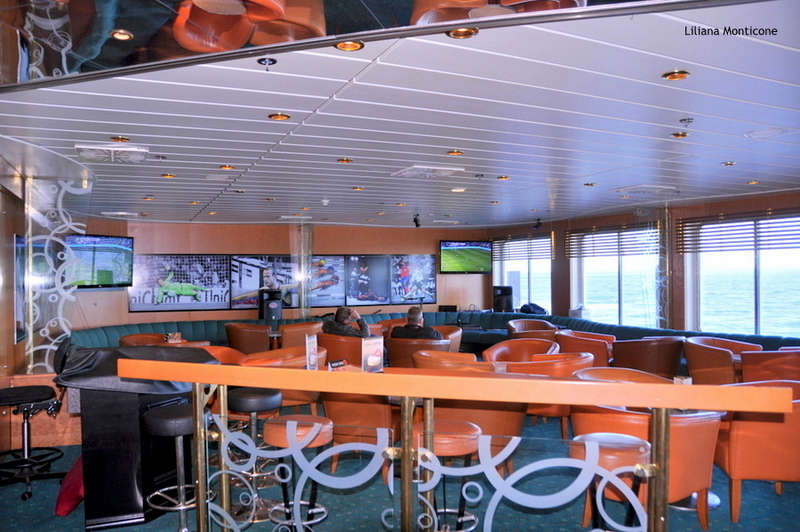 The time of the interesting movie about Faroe Islands in the bar on Deck 6 comes quickly. And here we meet Annah. 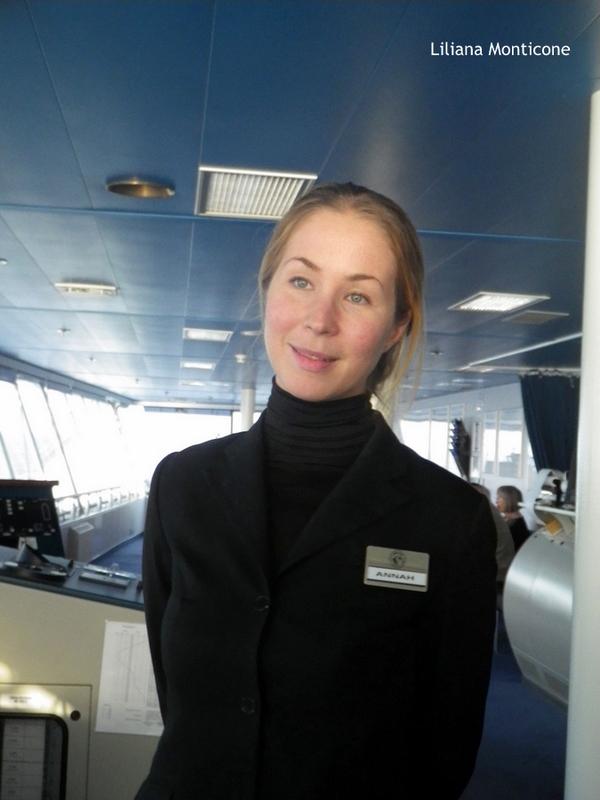 She takes care of the guests aboard the ship. You can always see her in a lot of occupations. I do not know how many hours a day do you work, I just know that it is everywhere! 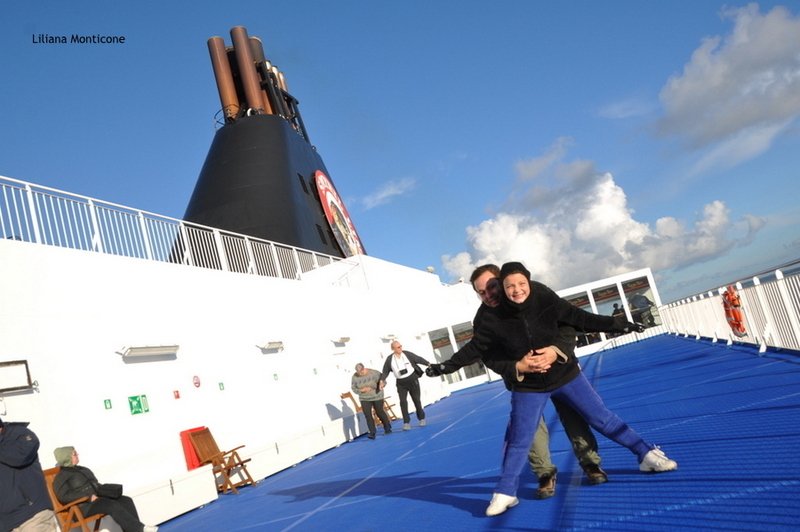 It does not matter whether the movie, bingo, booking excursions or the welcome on board … impeccable, professional and efficient, gives smiles to all and is not short a sentence friendly. 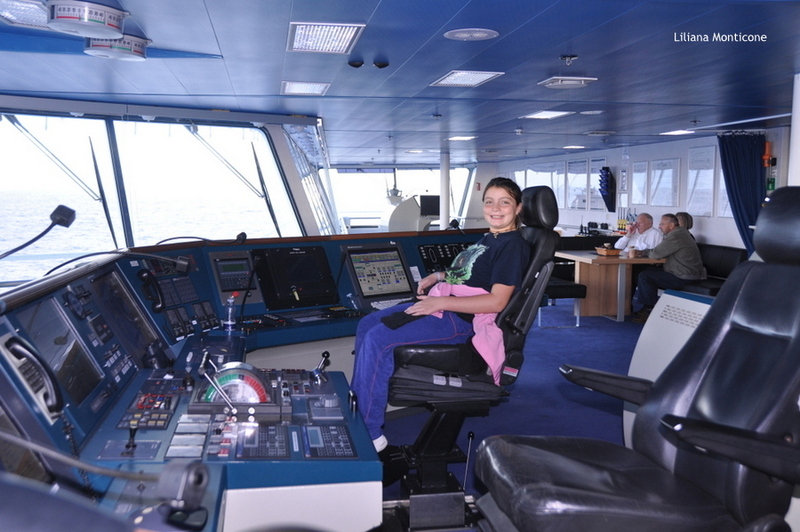 With Annah we go to visit the Captain’s bridge. An experience interesting and unique. 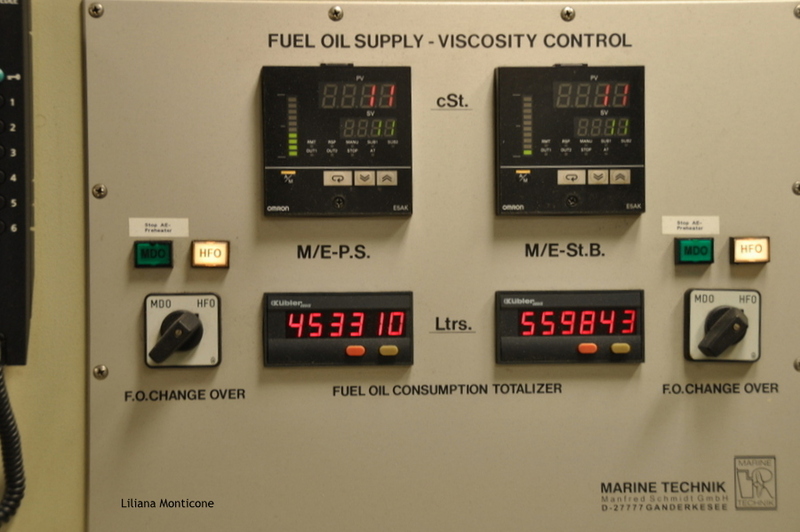 They explains us a multitudes of issues related to navigation, but the most fascinating is the ease with which those responsible, alternating in shifts of four hours, leading a ship so large, from this dashboard that gives a feeling of mastery the situation truly unique! And apparently I’m not the only one to think so! At the moment, you have to be satisfied only by the bicycle!!! 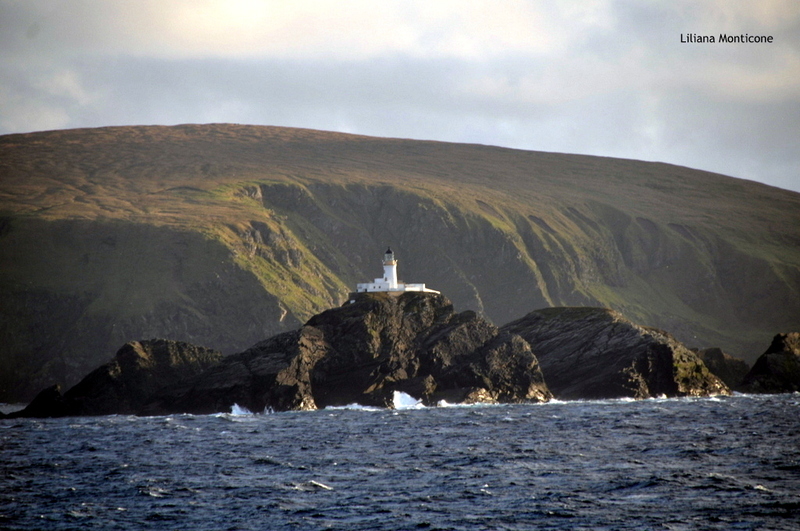 Right now we are skirting the Shetland Islands. 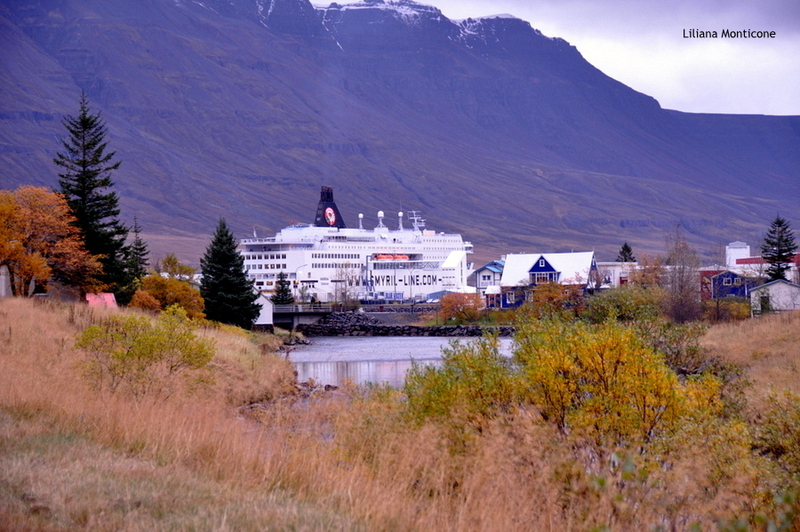 The Norrona slows down. The passengers are all focused on the same side. 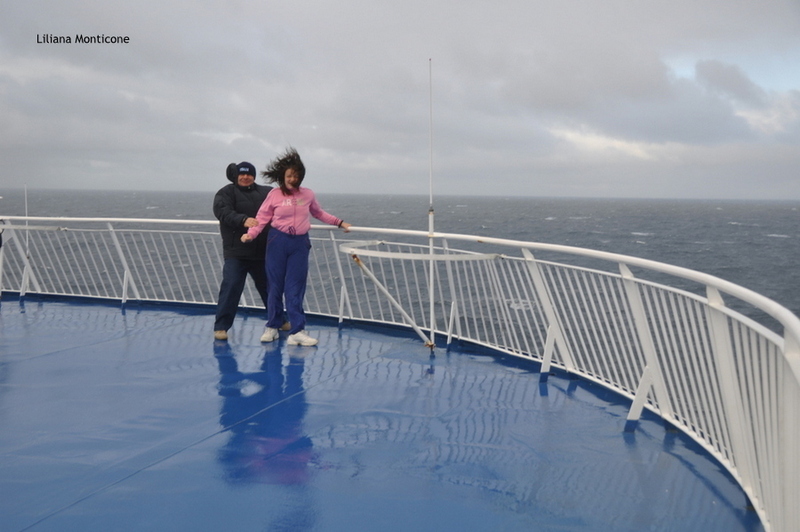 The more daring and crazy on the outside decks (I assure you that we are not alone! 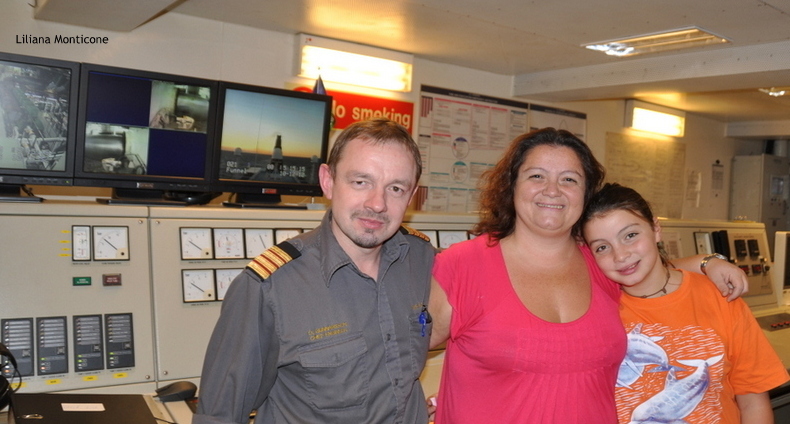 There are other crazy people like us here on board!). The islands are always majestic. 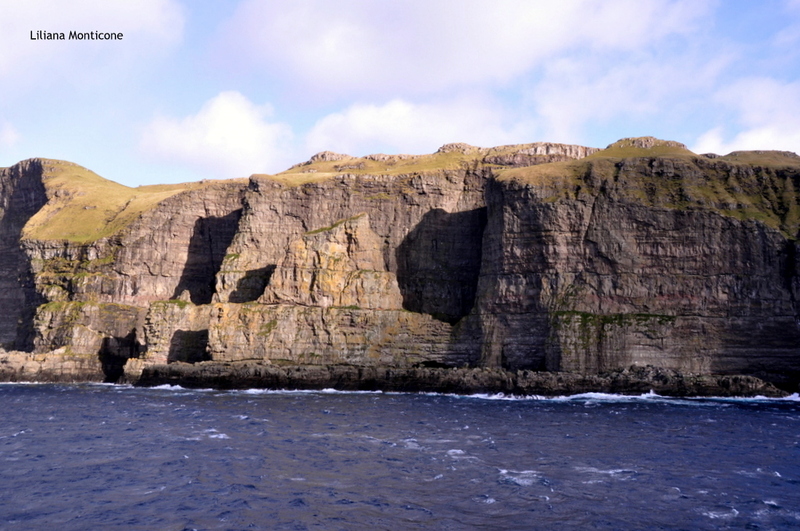 We arrived at Faroe Islands in the early morning and without losing a moment of time we rush go to landscapes and cliffs in this sunny day so unusual for the month of October. The position of Norrona is right in the center of the capital, just a few steps from the beautiful Old Torshvan with its old red wooden houses and roofs of grass. From here you can enjoy views of the Norrona with an unusual contrast. 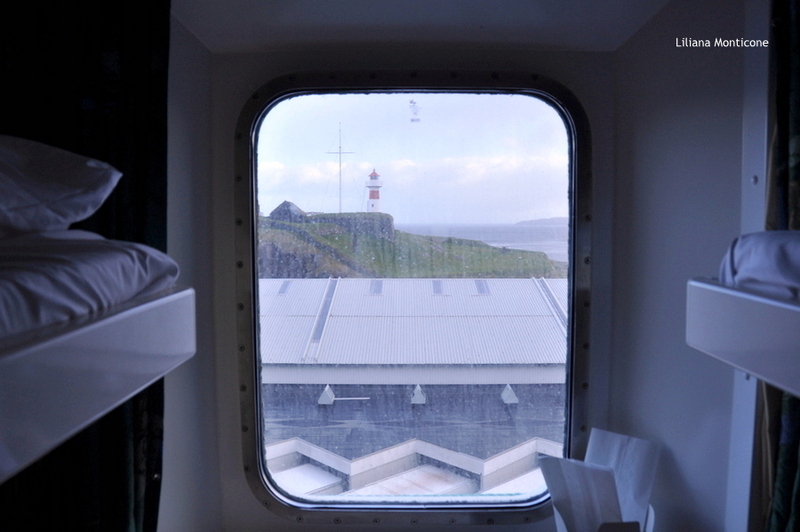 Our cabin is directly with view of lighthouse, on the opposite side of the harbor. 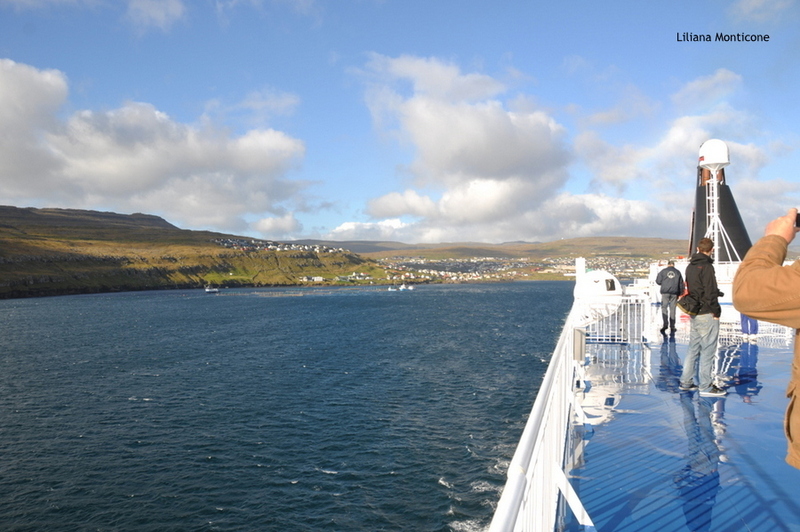 The departure from the Faroe Islands is an experience that deserves a special mention. The Norrona go slow in this shining sun day and the sky is so clear. Heads south and then go to north through the archipelago in one of the most spectacular scenery that these islands have to offer. 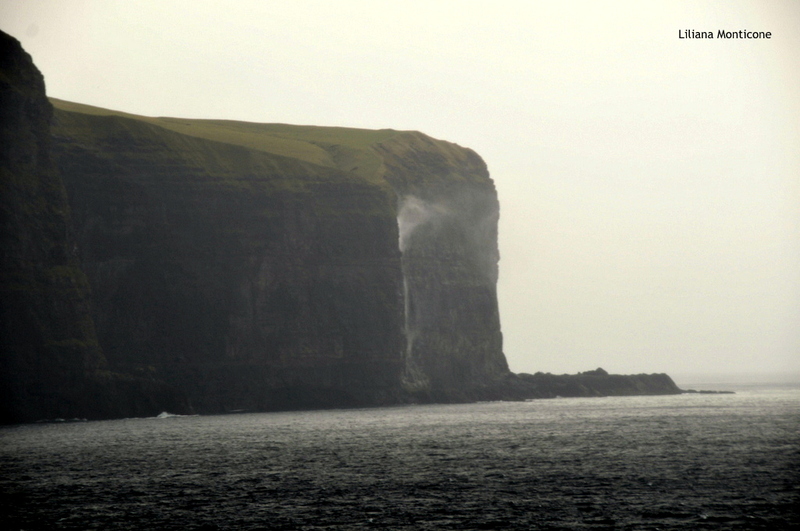 It is bordering on the cliffs overlooking the sea between small huts, scattered sheep and waterfall that invane trying to dive into the sea to be dispersed by strong winds, before it could reach the waves! There is no cold or wind can prevent us to stay hours on the upper decks to enjoy what nature has been able to create in these latitudes! 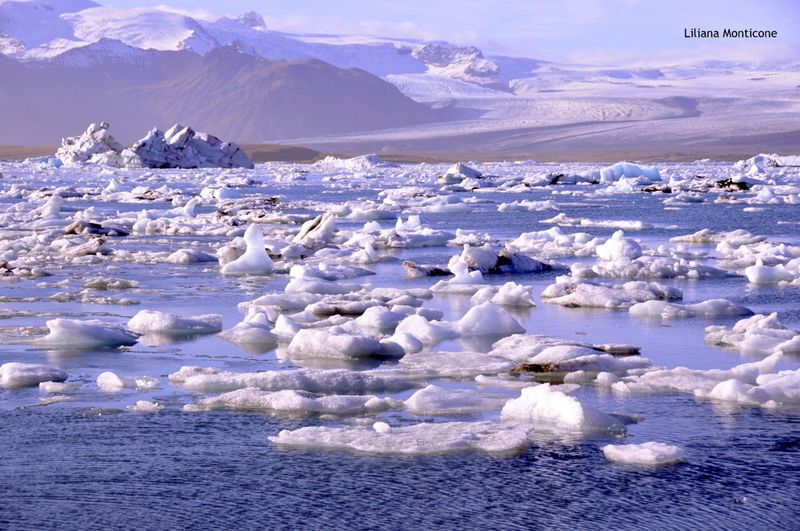 The usual enormous number of photographs and now is the time of another interesting movie on the Iceland (still all in English and not Danish or Faroense, in order to enable all guests to be able to understand). 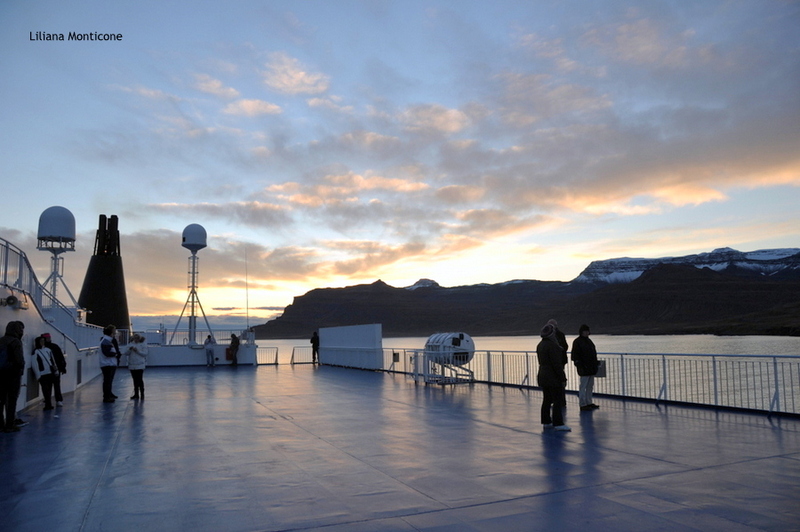 We arrived in Iceland at sunrise. 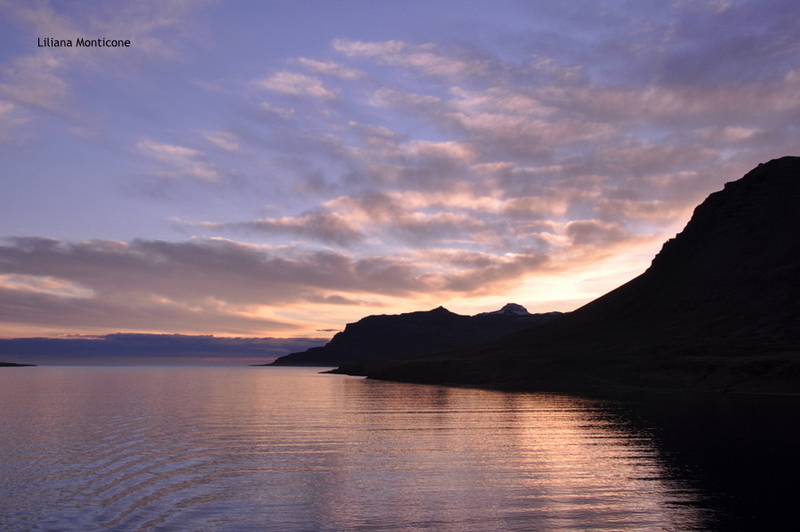 Extreme land of contrasts and at the first light, after the usual big breakfast, we go inside the Seyðisfjörður the most beautiful fjord in Iceland. 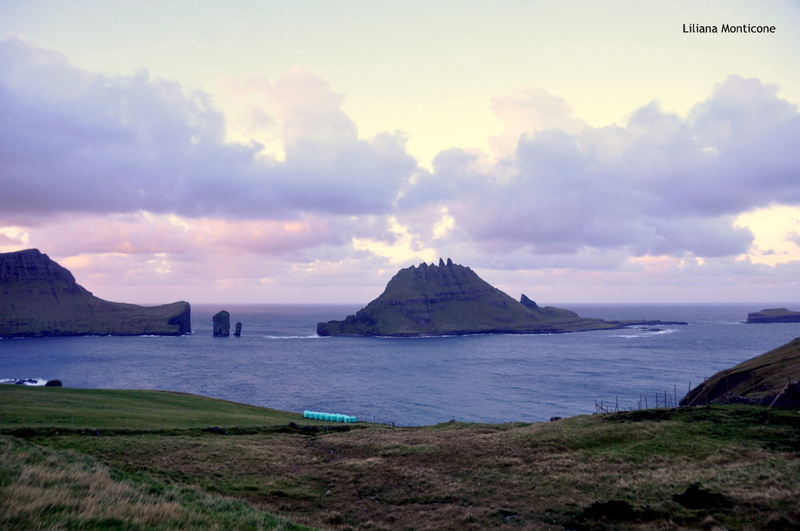 This part of the island is, in some respects, similar in structure to the Faroe and the play of light created by the sun through the mountains and snow has beautiful colors. 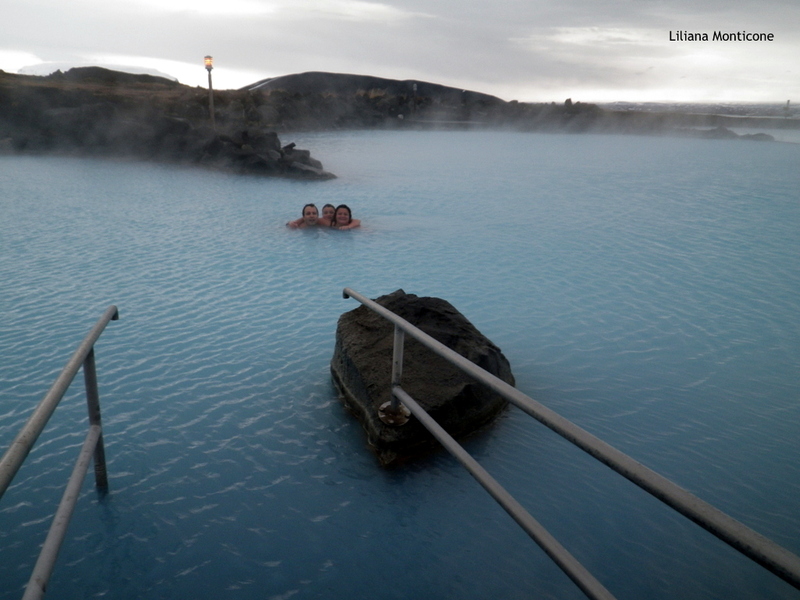 The time available to us in Iceland is very little. And for myself would be little also a year! 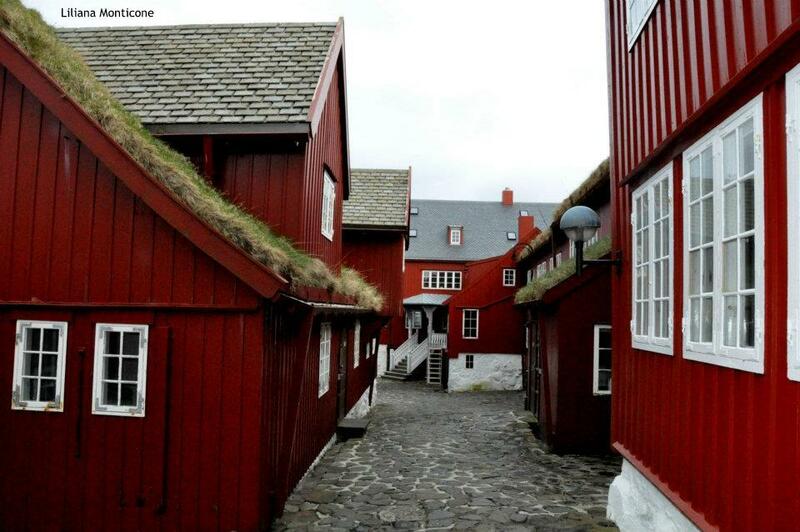 The ideal would be to stay on the island at least one week and come back with the next trip of Norrona. Unfortunately, we can not, and in two days we have to re-embark for the return. Despite this, doing an endless amount of chilometers, changing us to drive in the Iceland’s night that has allowed us to enjoy of beautiful northern Lights and even erupting volcano with its wonderful red colors… we’ve done a lot of things before returning! 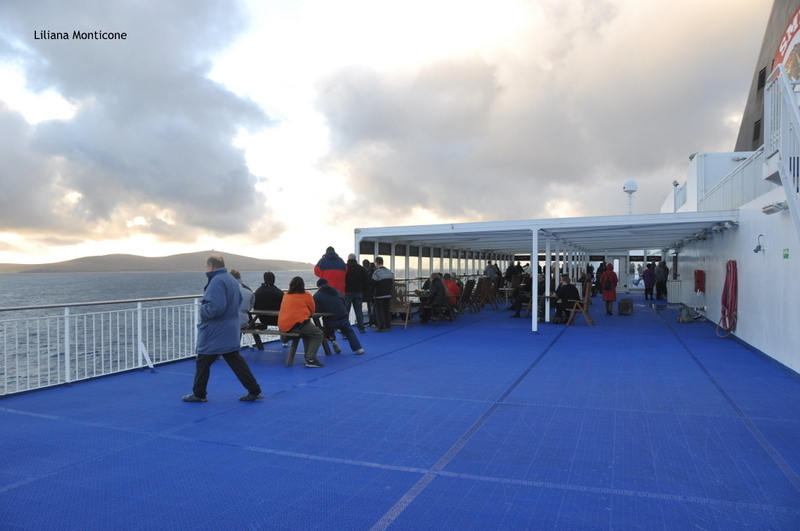 But the surprises that Norrona gives us, even on the return journey, they’re not finished yet. The patient Annah, at our request, bring us to visit the engine room. It opens us to another world! Do not ask me what they are and how all these mechanisms functions. 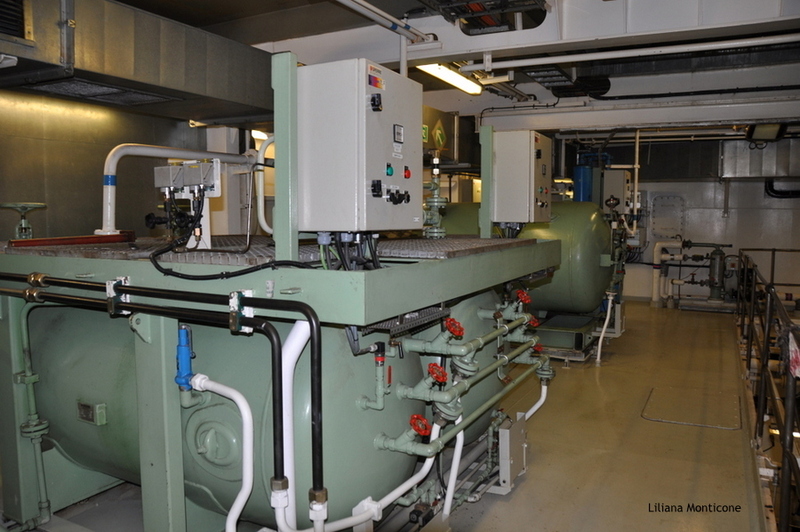 Despite the timely and accurate explanations of the friendliest Chief Engineer, who working by 10 years on the Norrona, I not understand a lot in this area. 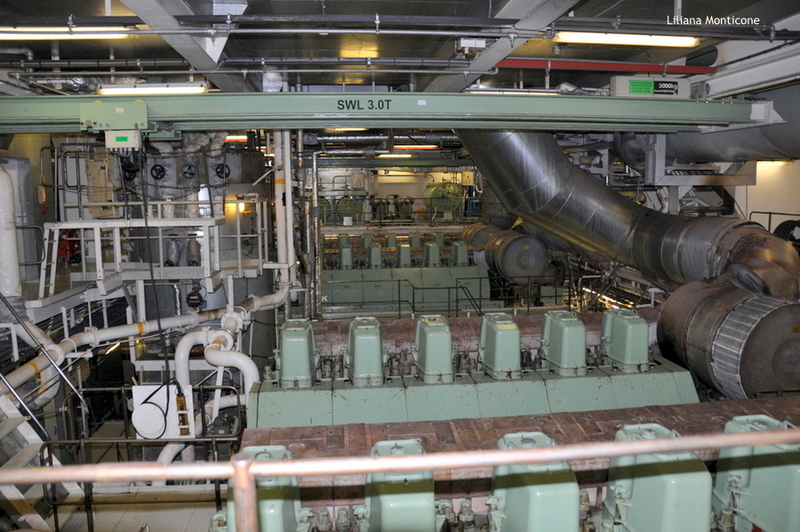 I can only tell you that these four engines are huge and trasmits us the idea of efficiency and precision! The sound is obviously very strong (but we have been equipped in advance of earplugs), so we are led in the control room. 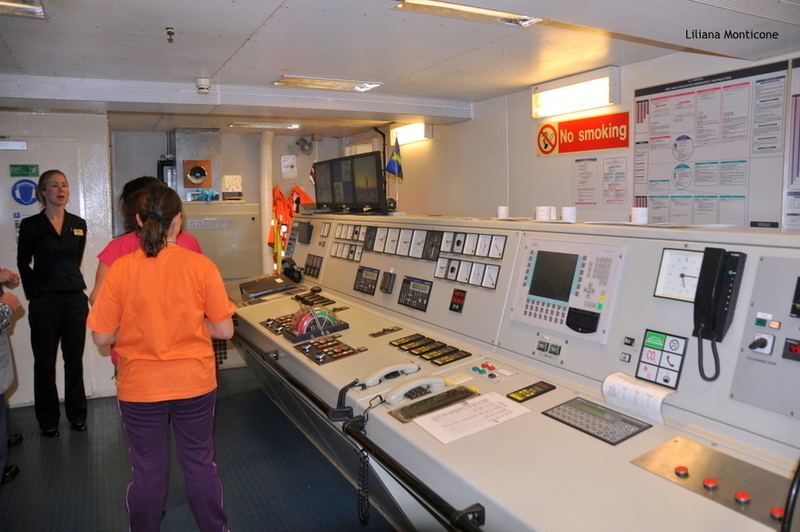 The chief engineer, with a lot patient, explains us that the ship is equipped with two external stabilizers of 6 meters x 2 that are opened in the event of rough seas. 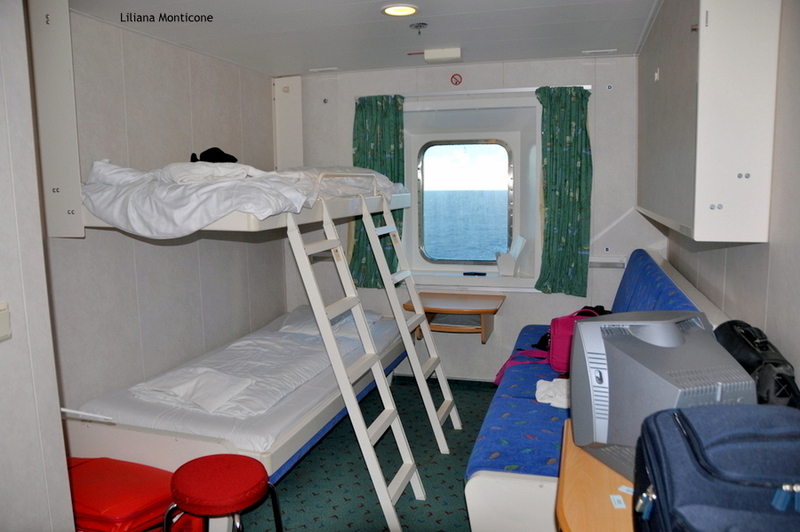 So last night with the strong sea, in a ship of this size, and there seemed to fluctuate a lot … we were also stabilized! It ‘s all very impressive! Time passes all too quickly and while this is not my environment, I would be hours and hours listening to the explanation, but it’s time to let the Chief Engineer at him occupations. 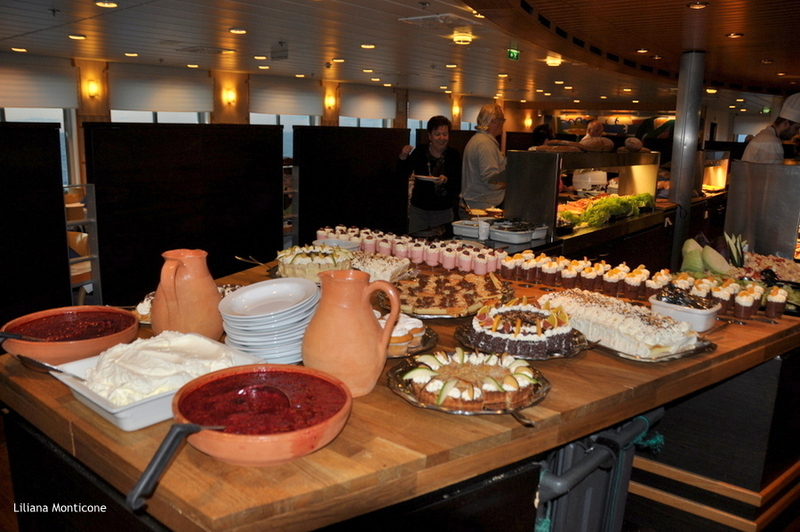 I can not conclude my experience aboard the Norrona without mentioning, at last but not least, the Viking Buffet! 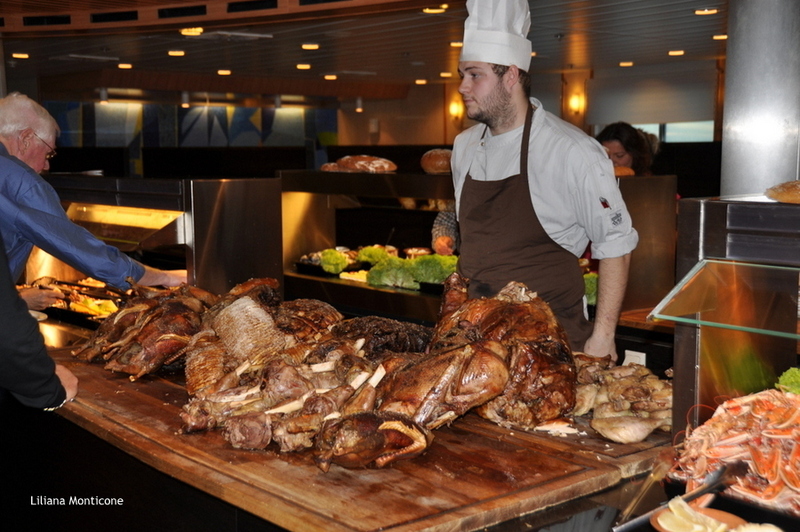 In view of the buffet already tested the previous evenings, we thought that advertising in this Viking Buffet was a little exaggerated … We were wrong! 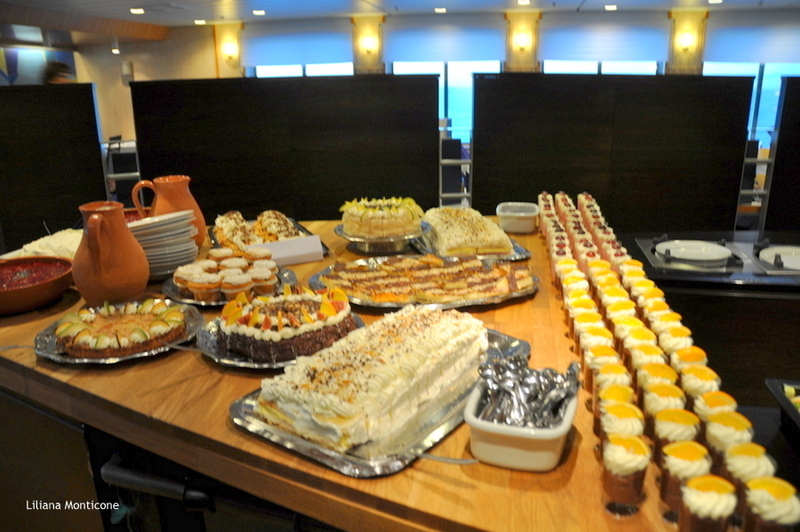 Look at that “tub” of whipped cream in the “department” sweets, not to mention the rest! The staff is dressed in theme with the evening. 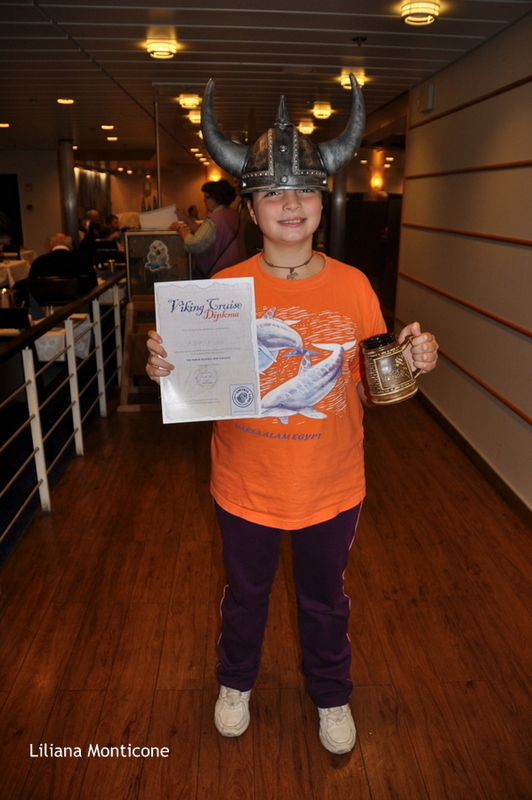 It is awarded the diploma’s Viking guests and is given a beautiful mug. And it is not over yet. 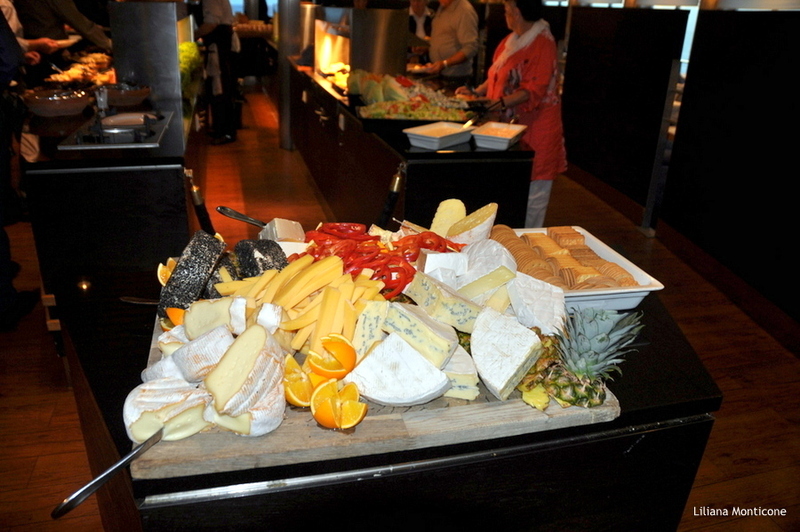 Look at the cheese. Whereas that the cost, purchased at time of booking, is aprox 25 euro … I would say that there are no words to describe what we ate! Listen to me … Book the cruise! And subscribe to their newsletter to receive the best offers and keep an eye the spring. There is an offer also between April and May! I wish you a great cruise aboard the Smiryil Line! Here more info on Norrona. 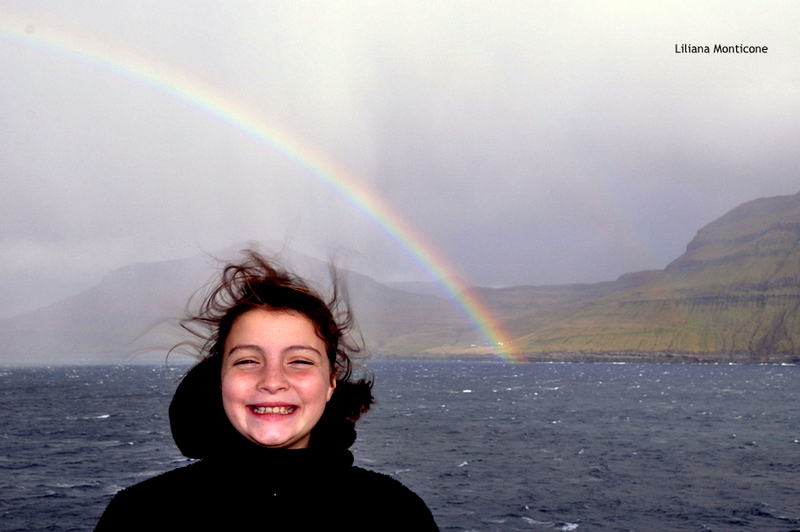 Cruise to the Faroe Islands at super low cost! Helsinki in winter. We walk in the town. 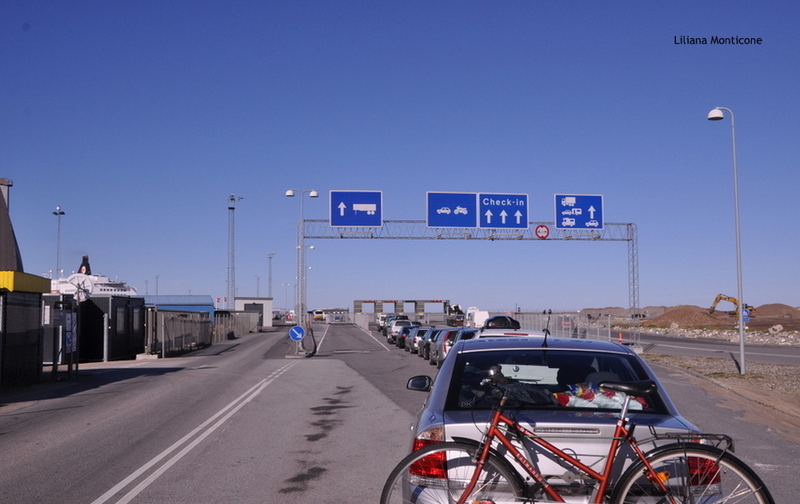 This entry was posted in Denmark, Europe, Iceland, Low-cost, Tested for you and tagged faroe @en, shetland, smyril line. Bookmark the permalink. 1 Response to To Iceland with Smyril Line. 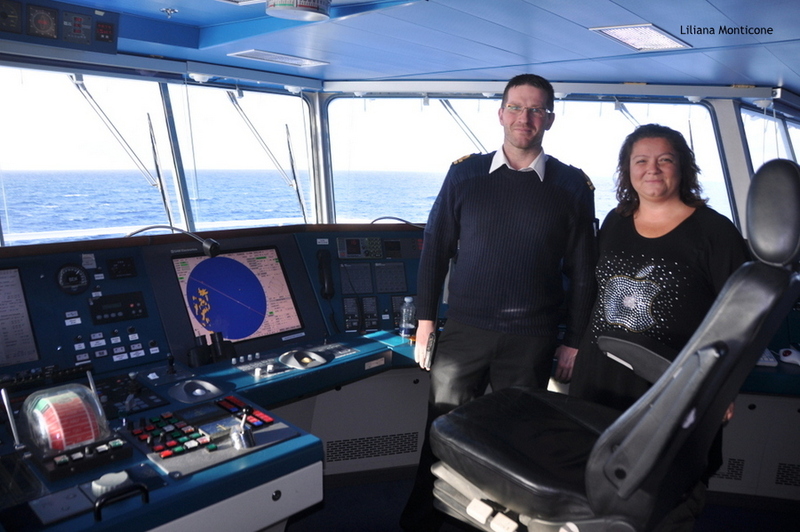 On board of Norrona.